A little frustrated trying to find the right car? Not sure which one you should buy? Buying a car is a big decision, even if you’ve done it many times before. Cars are reflections of our needs, priorities and lifestyles. They’re also one of the largest investments we make, both financially and time-wise. 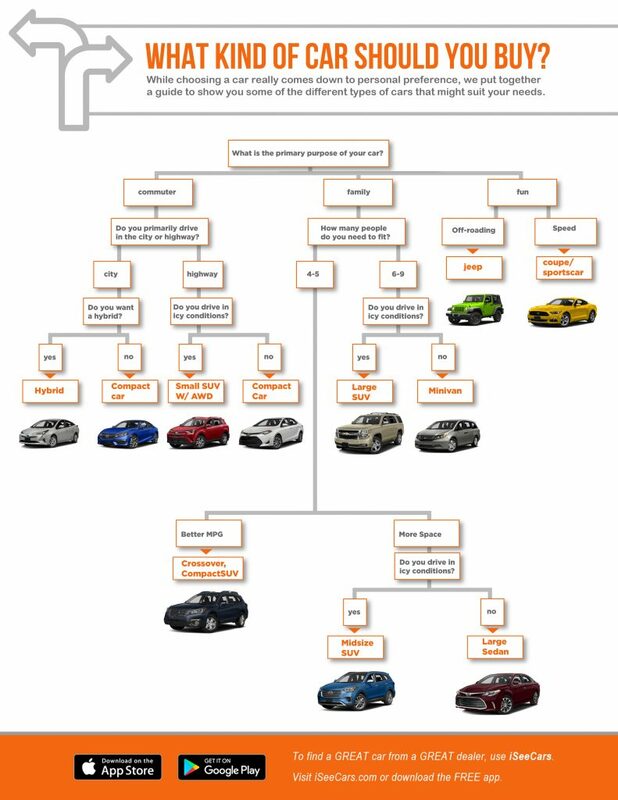 To make the car-shopping process easier and help you narrow down your choices, you can use our easy-to-read Car-Buying Chart. It asks questions about your needs and will tell you which type of car is the best fit for you. Then you can easily figure out which vehicle matches what you want in terms of looks, interior, performance and price. To start, ask yourself what the primary purpose of your car is. Will it be for commuting to work, for family use or just for fun? If the car is for commuting, will it be mostly in-town or highway miles? If the vehicle is for family use, how many people do you need (or will you need) to drive around? If the car is for fun, are you more interested in outdoor use, off-roading, speed or maybe track-racing fun? Answering these types of questions reveals what your best options are. For example, a family might need a large SUV with a lot of seating, or a smaller midsize sedan that seats five and gets great fuel economy. Buyers looking for fun on the track or to pep up their everyday drives will want to look at a sport coupe. A commuter might need to maximize gas mileage and would be best suited for a hybrid in the compact car category. 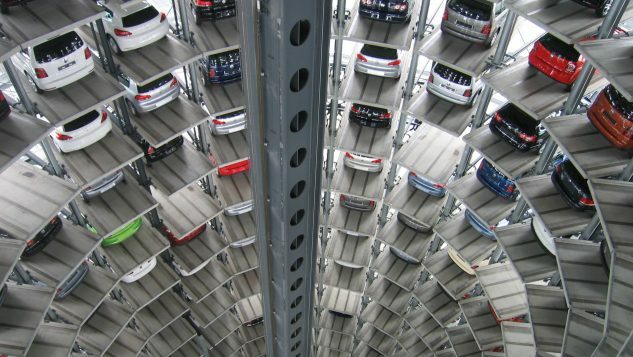 Once you decide what kind of car to buy, you’re ready to start shopping around. You might want to check out some of the expert tips and free tools below.